In order to see all published threads on entire forum, you need to change your settings. 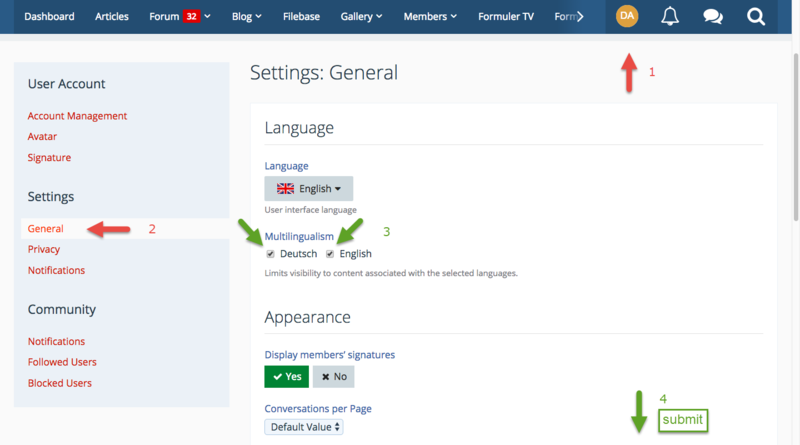 The forum works with two languages, English and German. If you select only one language then you will not see threads open in other language (even if content is in your language). Please change your language settings to multilingual, so you can see always all opened threads. See picture. This setting is now deactivated, some users didn`t found needed threads.